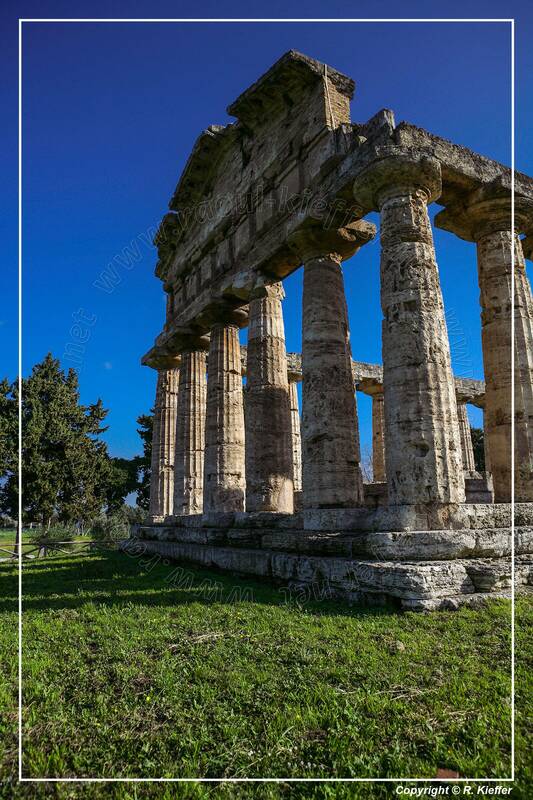 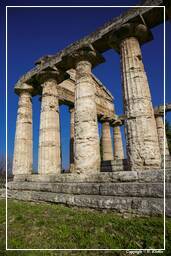 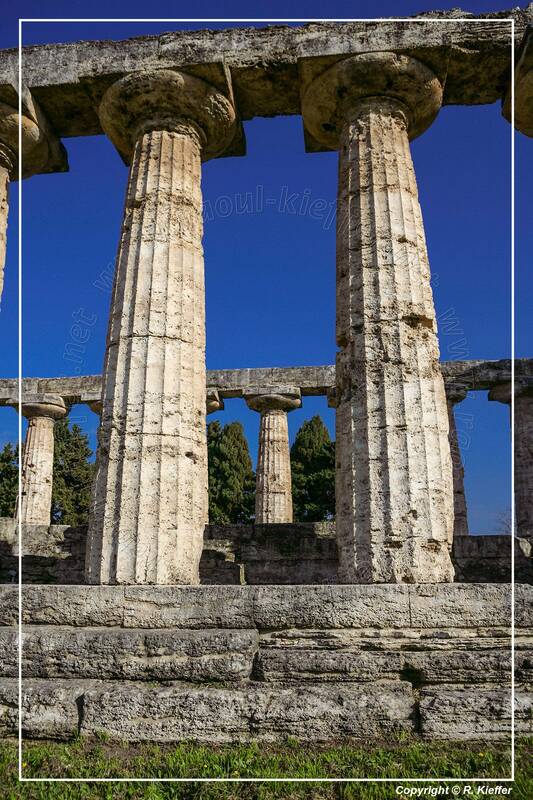 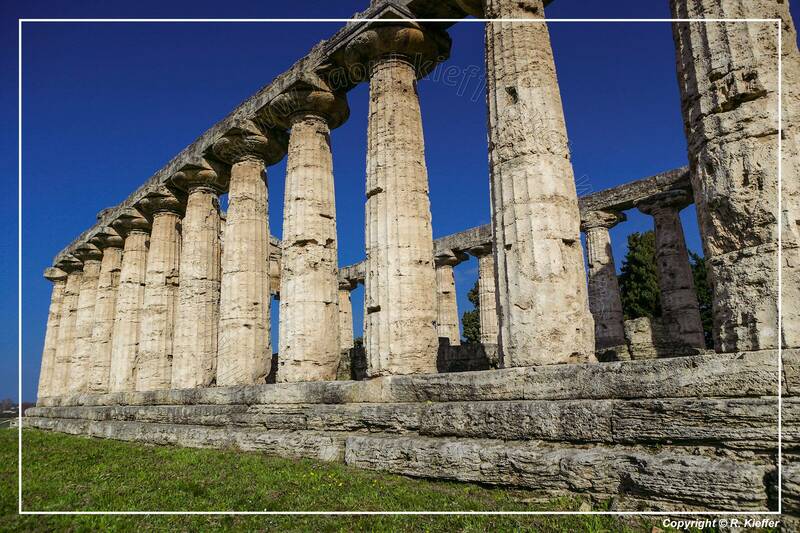 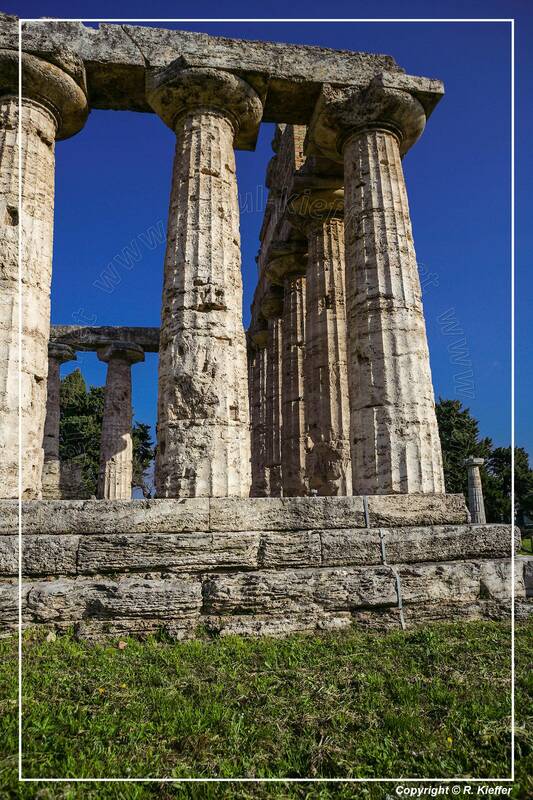 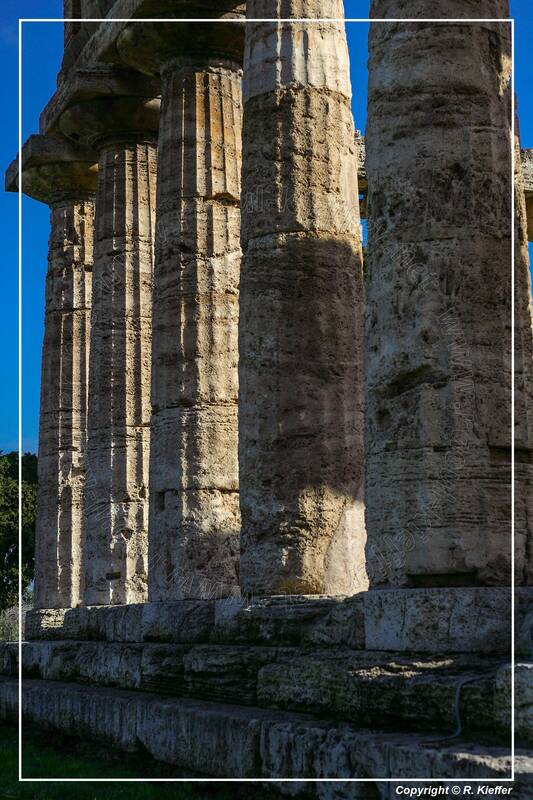 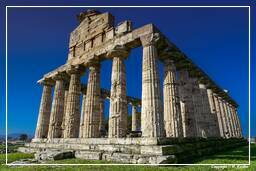 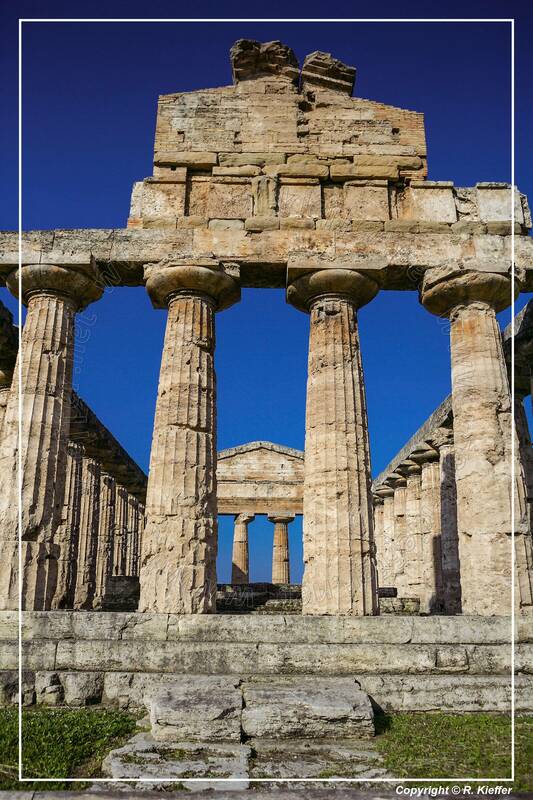 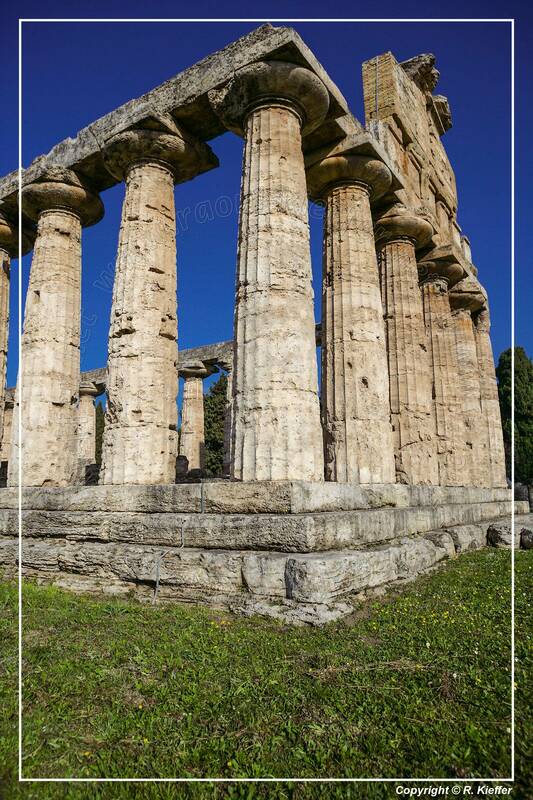 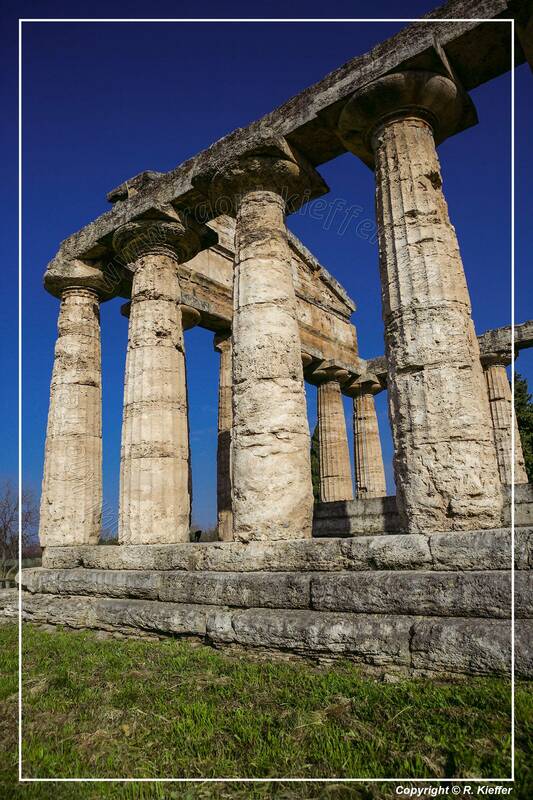 Paestum, situated close to the tyrrhenian coast on the road linking Agropoli to Battipaglia, was founded around the end of the 7th century BC by colonists from the Greek city of Sybaris, and originally known as Poseidonia. 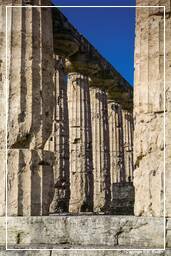 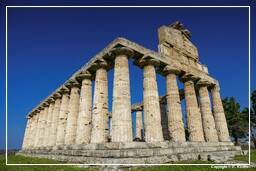 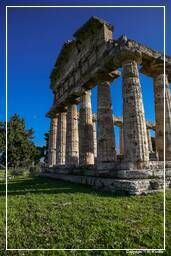 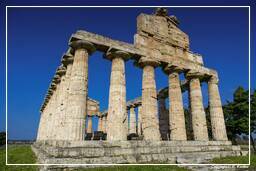 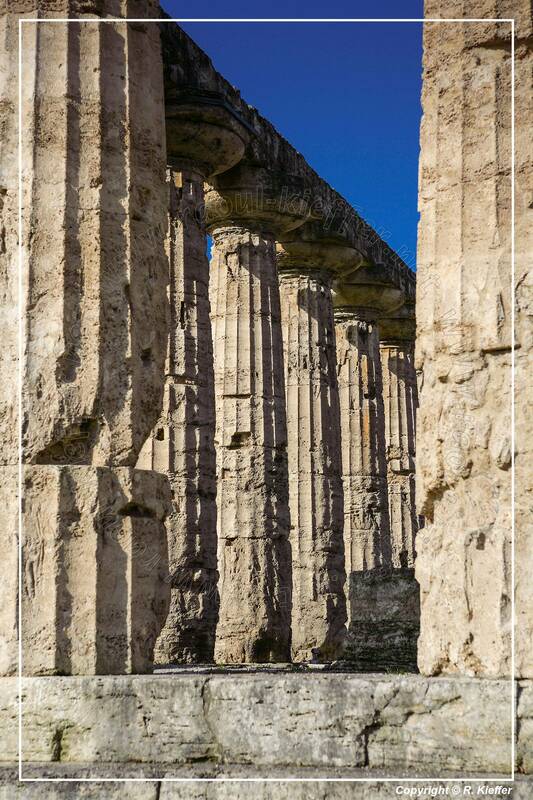 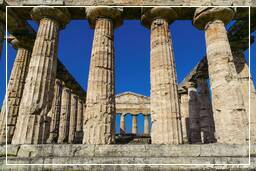 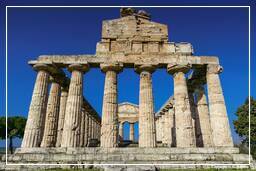 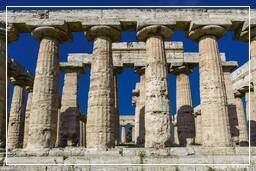 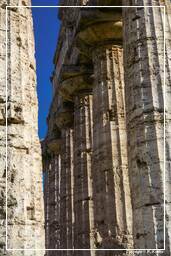 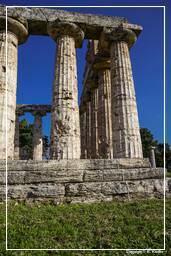 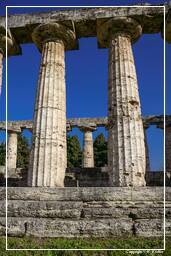 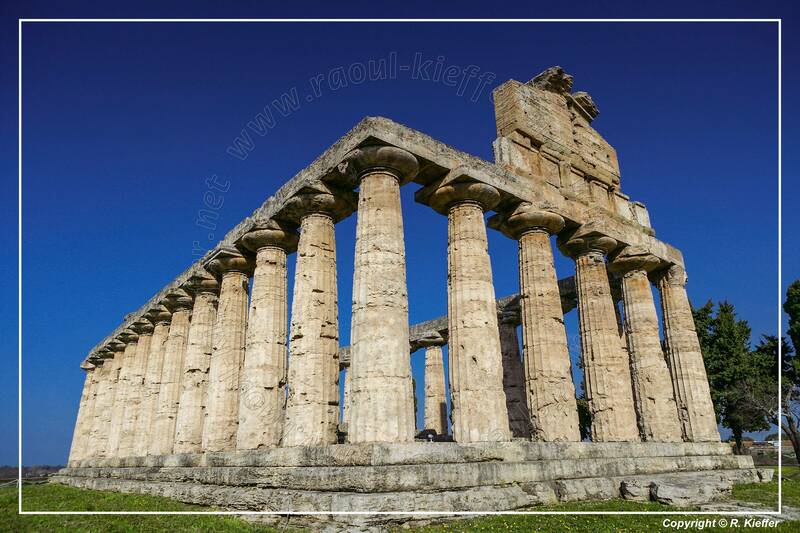 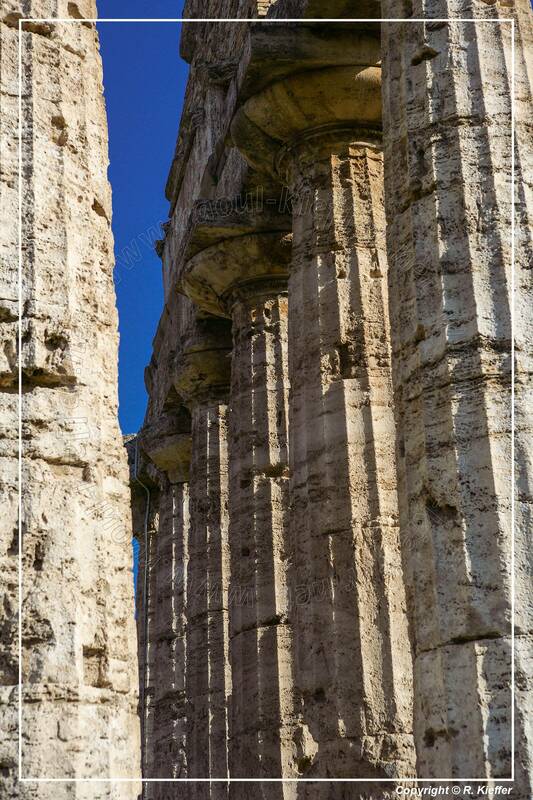 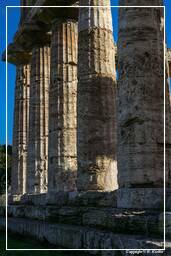 Outside of archaeological evidence very little is known about Paestum during its first centuries. 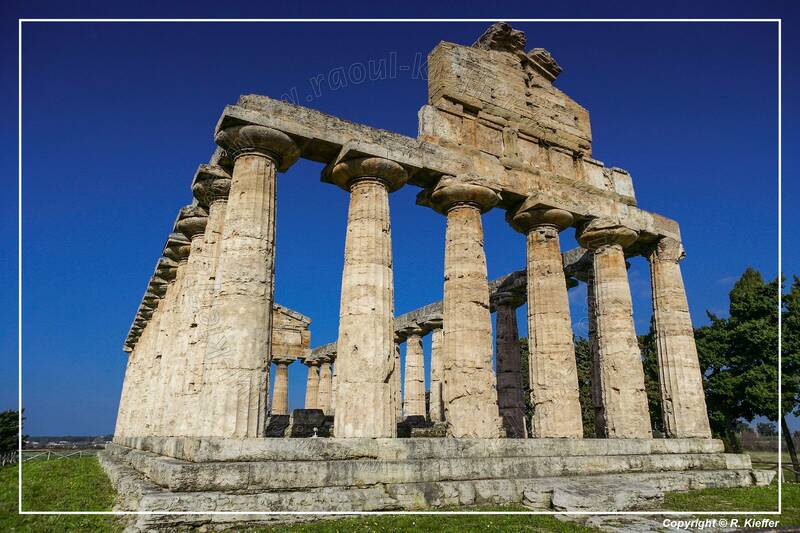 Archaeological evidence indicates that the city was expanding with the building of roads, temples and other features of a growing city. 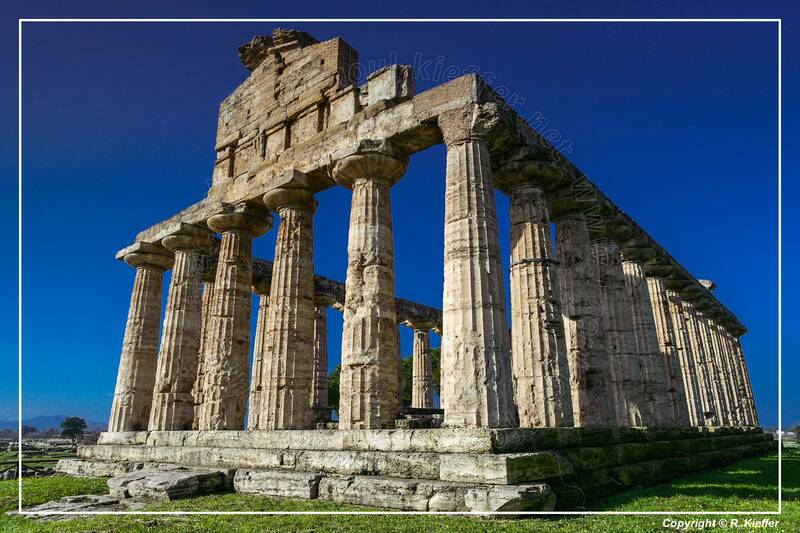 During the invasion of Italy by Hannibal the city remained faithful to Rome and afterwards was granted special favours such as the minting of its coinage. 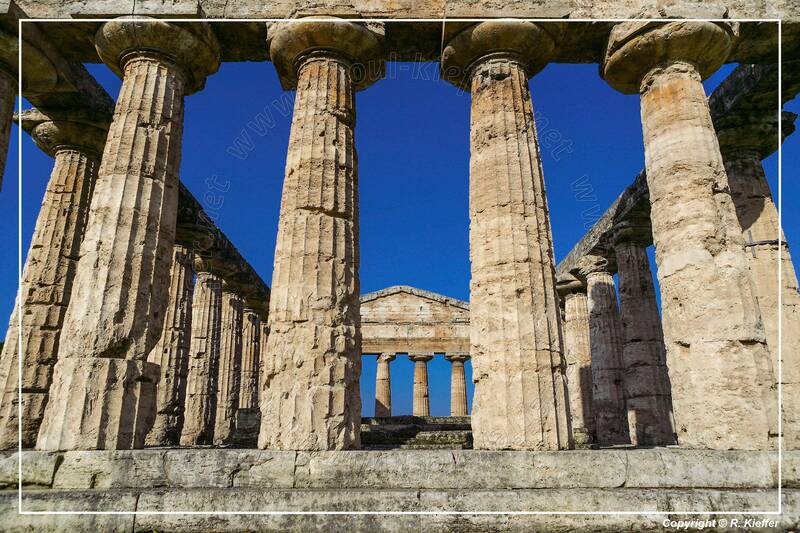 The city continued to prosper during the Roman imperial period, but started to go into decline between the 4th and 7th centuries. 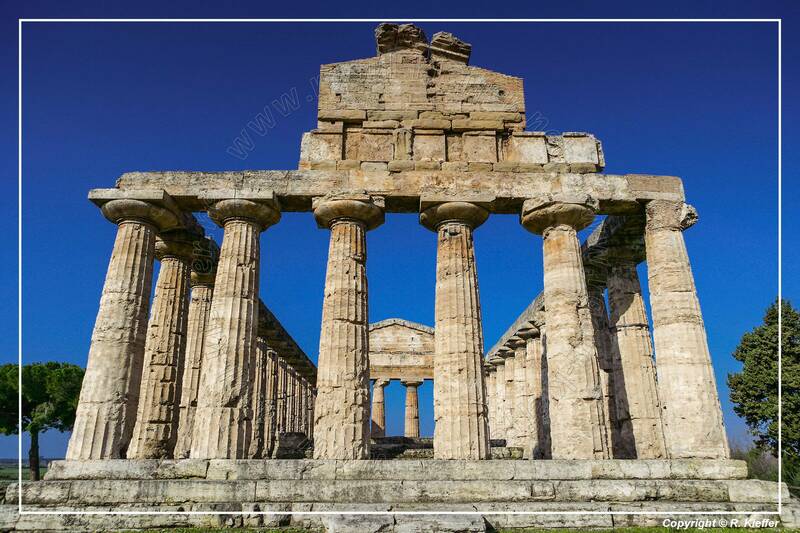 It was abandoned during the Middle Ages and its ruins only came to notice again in the 18th century, following the rediscovery of the Roman cities of Pompeii and Herculaneum.